Child’s Play 2 takes place two years after the original film. The film starts off with the toy company reconstructing Chucky to find out what went wrong with it and when they put his eyes back in, the machine gets a surge of electricity killing one of the workers. I guess it doesn’t really matter how Chucky is back but he returns more evil than before. It is revealed that Andy Barclay (played once again by Alex Vincent) is put into foster care after his mother is taken away for psychiatric evaluation. Once again, Chucky goes to great lengths to get to Andy to transfer his soul into his body. The film was directed by John Lafia and was written solely by Don Mancini. They both do a decent job. John Lafia actually wrote some of the screenplay on the original. The story is more or less the same as the first movie. Chucky needs to find a new body. The film introduces some new characters. Andy’s foster parents are called Phil (Gerrit Graham) and Joanne (Jenny Agutter) and they also have another foster child called Kyle (Christine Elise). All the actors do a great job. Andy’s foster parents are shown to be caring at the beginning but Phil isn’t so keen on taking in Andy. Kyle is a great addition to the movie and really shines in the climax of the film. Once again, Brad Dourif returns to voice Chucky and steals the show. 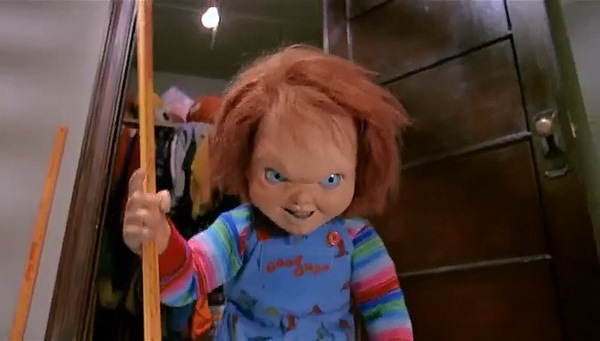 We see more of Chucky’s personality in this film than we did in the original. 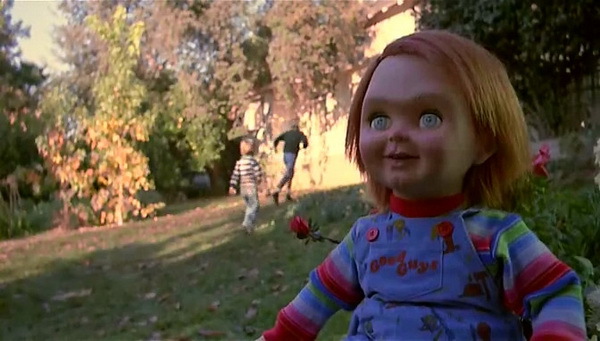 One of my favourite parts is when Chucky is outside digging a grave and he is just frantically laughing his head off while burying the other doll. I couldn’t help but laugh with him. Brad Dourif just does a sensational job with the character. Chucky actually gets a weird kick out of killing people and enjoys it more than ever. Speaking of which, there’s plenty of kills. Some of them are quite memorable. One guy is suffocated while Andy’s teacher his stabbed and then beaten with her own ruler. The special effects work for Chucky has advanced quite a bit from the original. 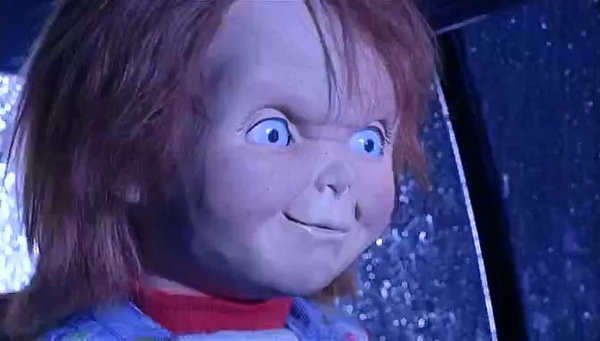 It’s still similar animatronics and puppet work but Chucky can convey emotions a hell of a lot better than before. The movement and editing is a lot more fluid. The climax of the film takes place in the Good Guy factory and Andy and Kyle try to escape from Chucky. Again, some excellent voice work from Brad Dourif. Especially when he’s screaming in agony. He conveys Chucky’s anger so well. There are some nice moments in the climax too with Chucky having to tear off his own hand and replace it with a knife. Then having his legs torn off by a machine a bit later. Chucky takes a hell of a beating in this film. I’ve gotta say the worst part of the film was seeing Kyle sticking the air pipe in Chucky’s mouth and him expanding and eventually exploding. It looked completely ridiculous on screen but hey, I’m not going to let it spoil the whole movie. Out of all the Chucky sequels, I’d say Child’s Play 2 has the most in common with the original. I guess that might be an issue with critics. That the film-makers pretty much re-treaded the same steps as the first one. Similar premise, similar horror elements, and Alex Vincent returns to play Andy. I don’t mind that though. If it’s not broken, don’t try to fix it. There’s a bit more humour than before too. Chucky does say some very funny things now and again. I’d say it’s the best Chucky sequel in terms of horror.